Government Jobs in Karnataka Page is all about the latest updates for people who are looking for a job in Karnataka. We update this page on the regular basis once we get any new information from Karnataka State Govt. We have given a table below which will help you to know about the vacancy number, last date, eligibility and other useful information to apply for that specific job. You can click on the title of your desired vacancy to know more details like age limit, how to apply procedure, contact details and much more. 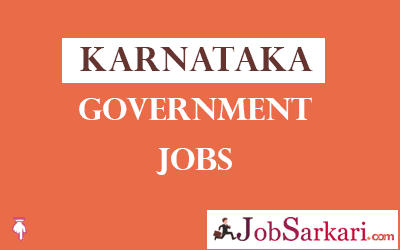 Bookmark our page or Keep visiting this page for more Latest Government Jobs in Karnataka. We will update all jobs on Karnataka Job page for qualifications like 10th pass, 12th pass, Graduation or Post Graduation.